Working during the eighteenth century, Sarah Harrington specialised in ‘hollow-cut’ silhouettes where the profile was cut out of white paper but it was the surrounding paper that was retained and backed with either black paper or silk. 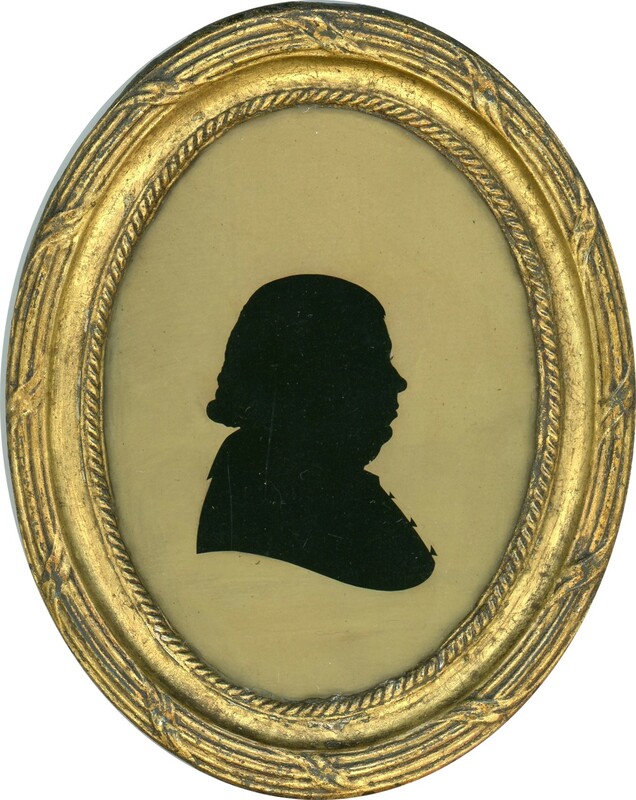 This profile, cut from paid paper, is typical of her work and shows a gentleman in a physical wig and buttoned coat with the buttons running down the front cut as tiny triangles. Note too his well-endowed chin and the eyelash. 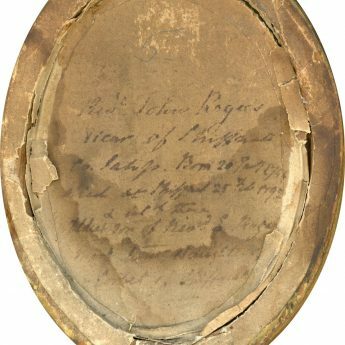 An old inscription (partially obscured) on the reverse of the frame names the sitter as the Rev. John Rogers. 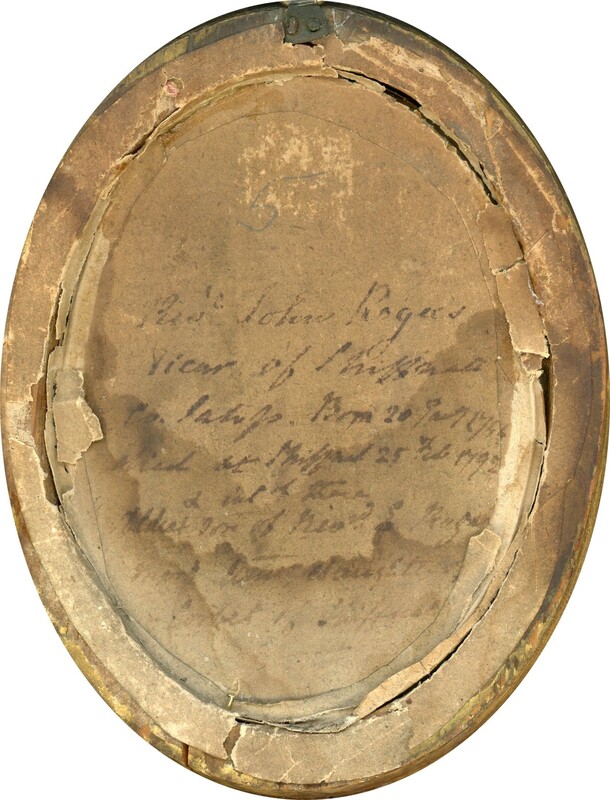 Born in 1744, John Rogers was the eldest son of the Rev. Edward Rogers. He went up to Balliol College, Oxford when just sixteen and graduated in 1764. Following in his father’s footsteps, he went to Stirchley in Birmingham as a curate later being appointed vicar of Shiffnal in Shropshire. He married Ann Corbett in 1785. He died in 1792 leaving his estate to his brothers, in-laws and god sons which suggest that the couple had no children of their own. The silhouette is set in the original oval brass-faced frame with an inner crenellated border and old glass.